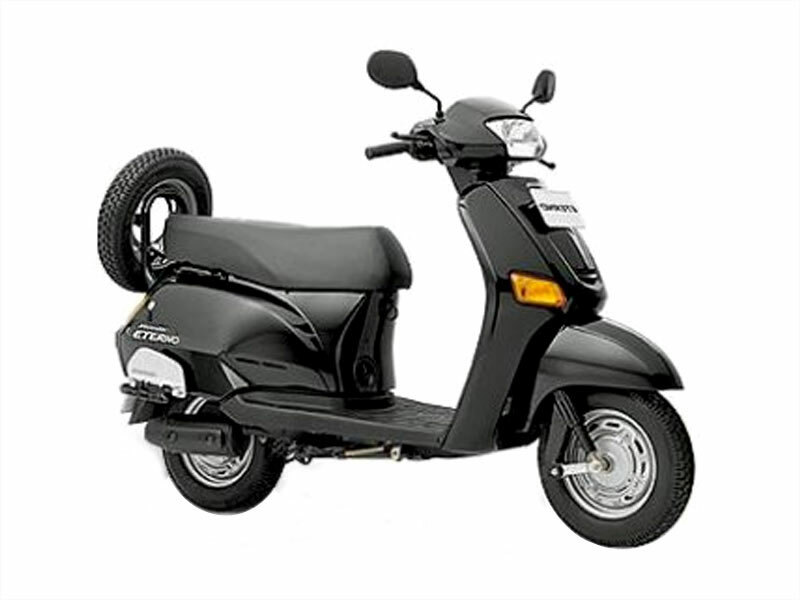 Honda Eterno 150cc is a family oriented multi-purpose scooter with excellent mileage and aerodynamic body enhanced by superior technology. Check out the review to get the features, technical specifications. Eterno is designed with strong aerodynamic metal body placed on the double layered tubes which contain fluid in the tyres to resist puncture. Its Wheel side engine is designed to give good power transmission. Unlike conventional scooters, Eterno has one direction gear system similar to bike. High ground clearance with dual suspension serves comfortable ride even on bad roads. Larger handlebar is a welcome addition which reduces turning radius. It also has a neutral lock that prevents the scooter from accidental jump while starting. The optimization of weight balance lends more stability to the scooter and eliminates tail swings even at sudden braking. The easily adjustable headlight beam offers better night rides. Eterno returns an excellent mileage of 60kmpl in the city along with the top speed of over ninety kmph. There is no fault in this scooter except a few such as no side stand, missing of self starter, unstable horn sound and at times steering vibration. 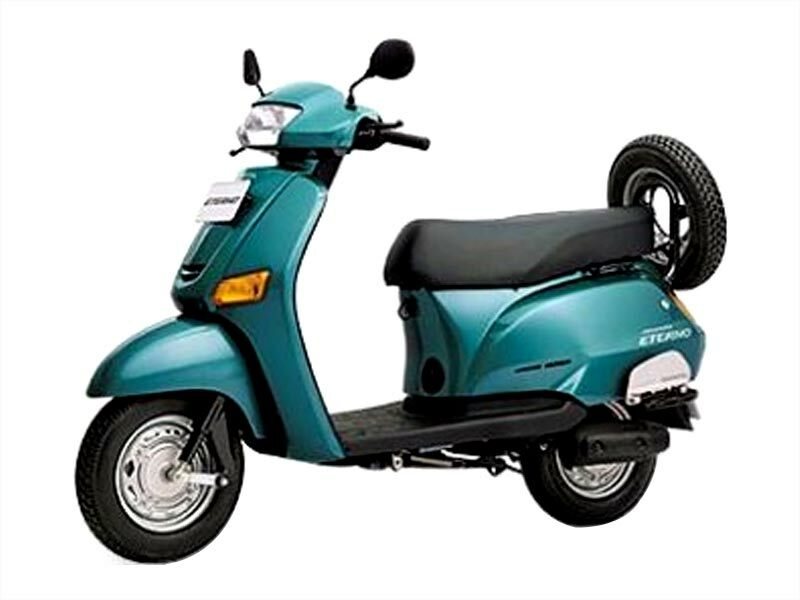 Bearing the classic looks of a conventional scooter, Honda Eterno provides an average mileage of 55-60 kmpl.